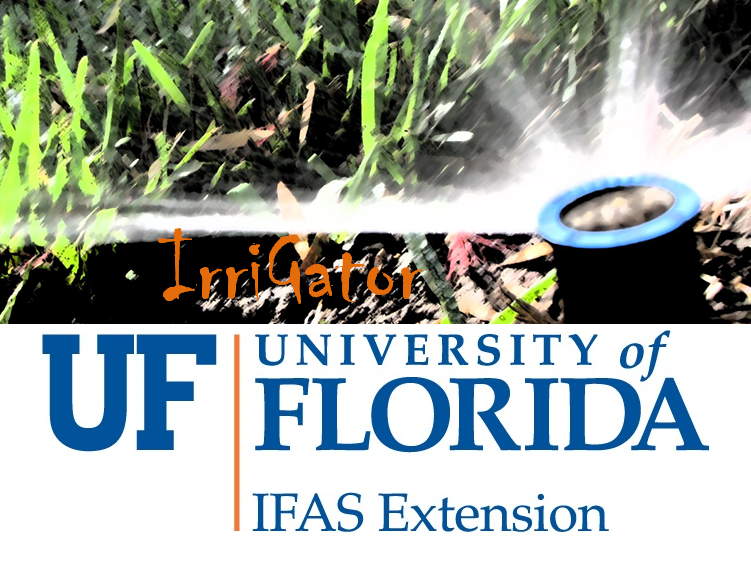 Outdoor watering restrictions are one of the more common methods in Florida for curtailing irrigation. Most of the water management districts in the state recommend limiting irrigation during some portion of the year, usually during Florida’s dry season (November - April). 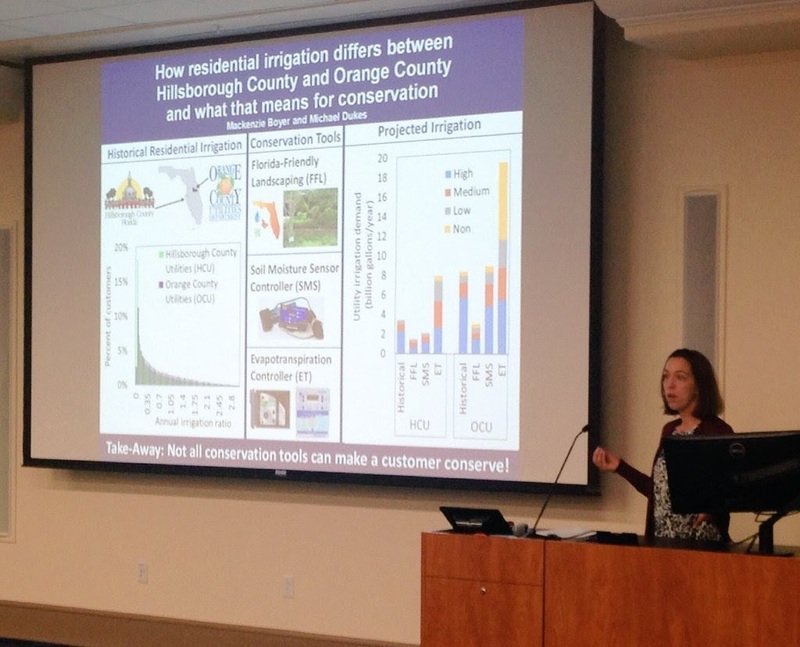 Recently, UF-ABE alum Dr. Mackenzie Boyer published research which analyzes the effectiveness of irrigation restrictions - Water Conservation Benefits of Long-Term Residential Irrigation Restrictions in Southwest Florida. Read on for a selection of excerpts. Irrigation restrictions in the Tampa Bay Water area offer a unique look into both long- and short-term restrictions as well as the behavior of individual customers. 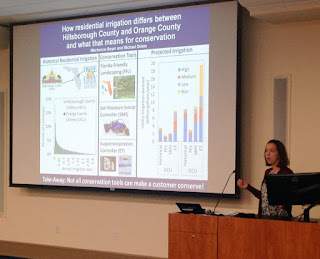 The goal of this study was to determine the effectiveness of long-term watering restrictions to reduce irrigation by individual single-family residential customers in southwest Florida. The primary objective was to compare each customer’s irrigation demand under two days/week and one day/week irrigation restrictions. 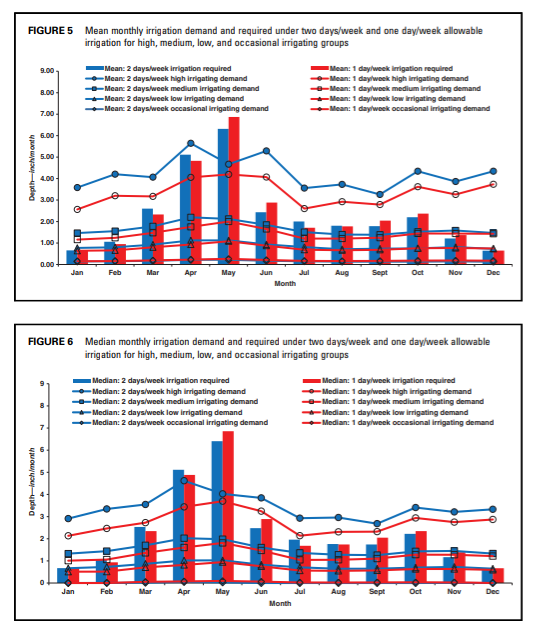 Next, high, medium, low, and occasional irrigating groups were identified, and the high irrigators were mapped to determine whether there was a geographic component to irrigation behavior. Finally, the impact of a short-term ban on inground irrigation in Tampa was evaluated. 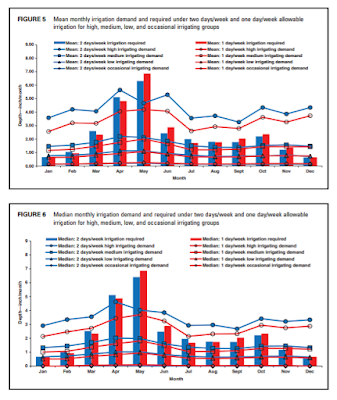 irrigation demand and irrigation required of the four groups. encourage some customers to irrigate. 2010 coincided with lower irrigation demand in southwest Florida. restrictions) during the period of the more stringent restrictions. Management District and Tampa Bay Water for funding this research.